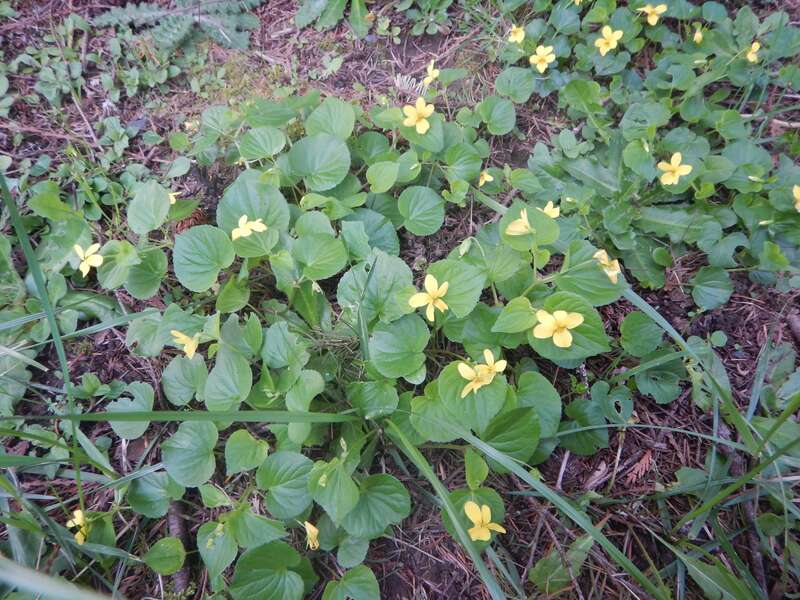 It is on a spring walk through Goldstream Park that we spot wild yellow violets. It was SM who spotted them. Once we saw the first one, we noticed a few more further along the trail. These are Viola glabella, AKA yellow wood violet, stream violet, pioneer violet, or smooth yellow violet. They enjoy the moist woodlands of the Pacific Northwest & are even found along Asia’s Pacific Northeast. I wonder how many more names they have there? Last year I finally saw the endangered yellow montane violet (Viola praemorsa) at Playfair Park. It has fuzzy leaves & prefers Garry oak meadows. This trailside violet is definitely not it. 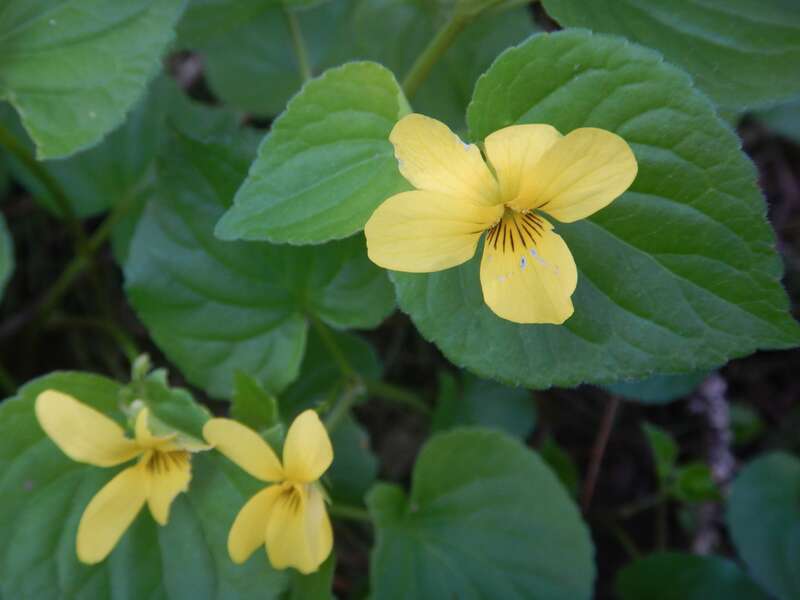 There’s another similar yellow violet, Viola pubescens, but it’s native to the eastern side of our continent. It’s definitely not this one either. 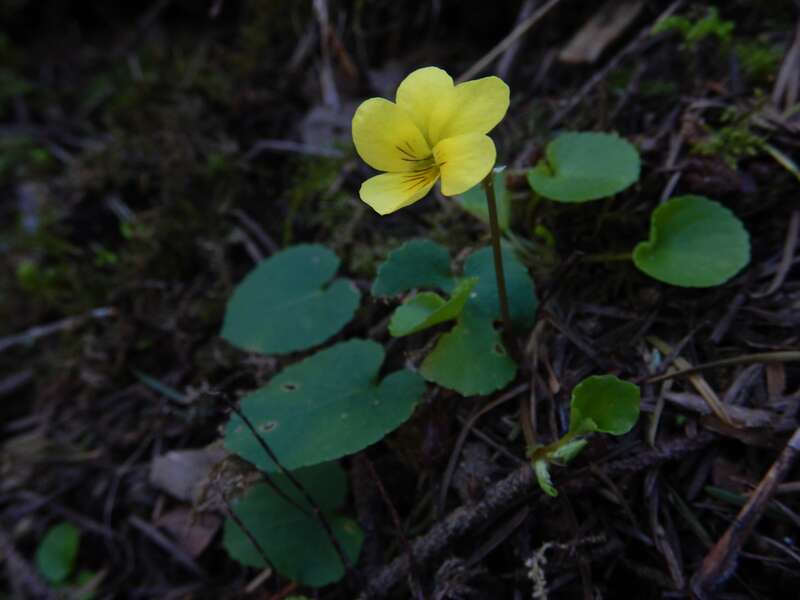 I first encountered yellow wood violets in a municipal campground in Washington State. Perhaps that patch was more mature, or further into it’s growing season because it was a larger clump. 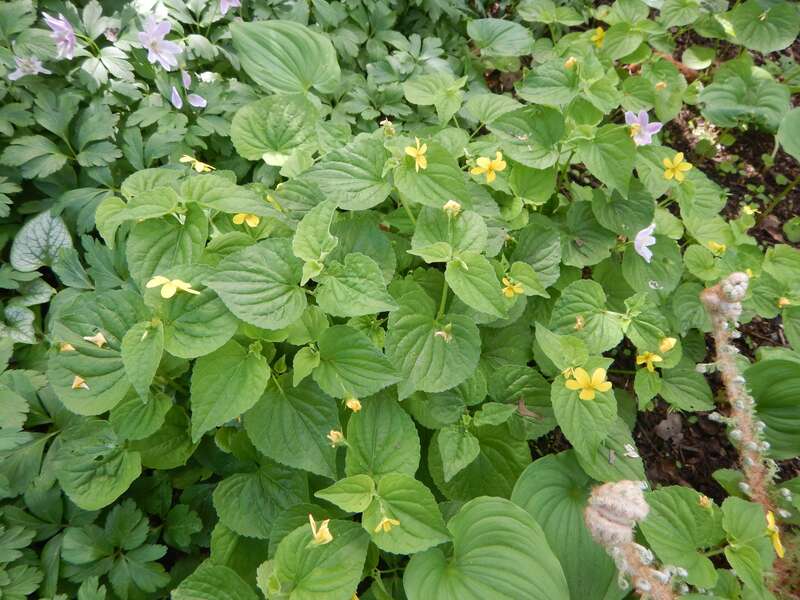 I can easily imagine wanting some yellow wood violets in our own (dry) woodland garden if we weren’t tending a meadow of the western dog violet (Viola adunca). 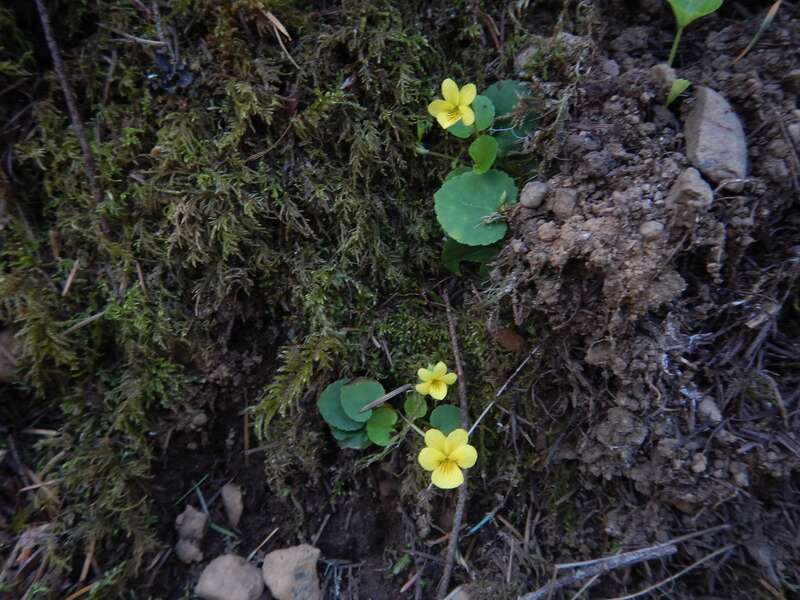 Another friend (PS) has yellow wood violets in her irrigated woodland garden. They’re doing well & are slowly spreading between the other perennials. The challenge is sharing ground with the more persistent & dry tolerant western dog violet. They look so similar that it’s only when a dog violet blooms (purple) that PS digs it out, giving the yellow violets priority. It’s a longterm strategy. I have my fingers crossed for her. On second thought, maybe I could find an isolated, shady spot in our yard where there are no dog violets & enough moisture…. 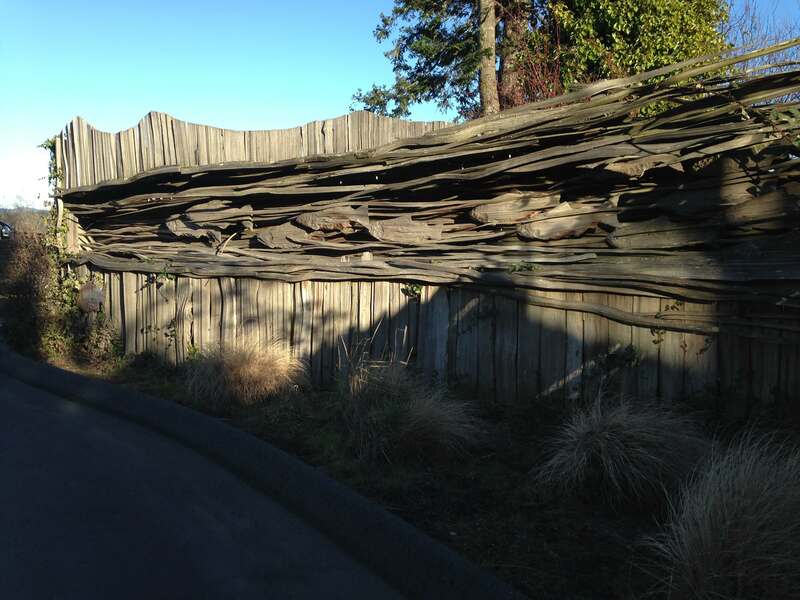 I had to stop to admire this fence in Sooke the other day. I like the way the shadows and light shift & change, just the way they do when looking into water. My hat’s off to this artist, Renaat Marchand I’m a fan. I googled Renaat Marchand and it turns out he’s made more art at Ed McGregor Park, just down the road from the Sooke Harbour Resort & Marina. He’s even created the Mermaid Chair for the movie of the same name. It was shot around these parts a while ago. Apparently, there’s another commissioned fence around about. 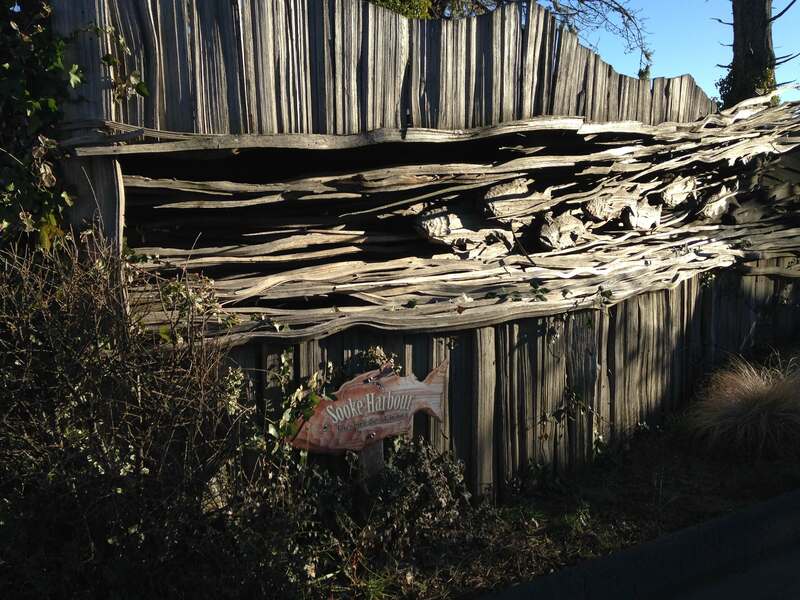 The Lavender Fence. I’d love to see it, but don’t know where it’s located. Have you seen it around? 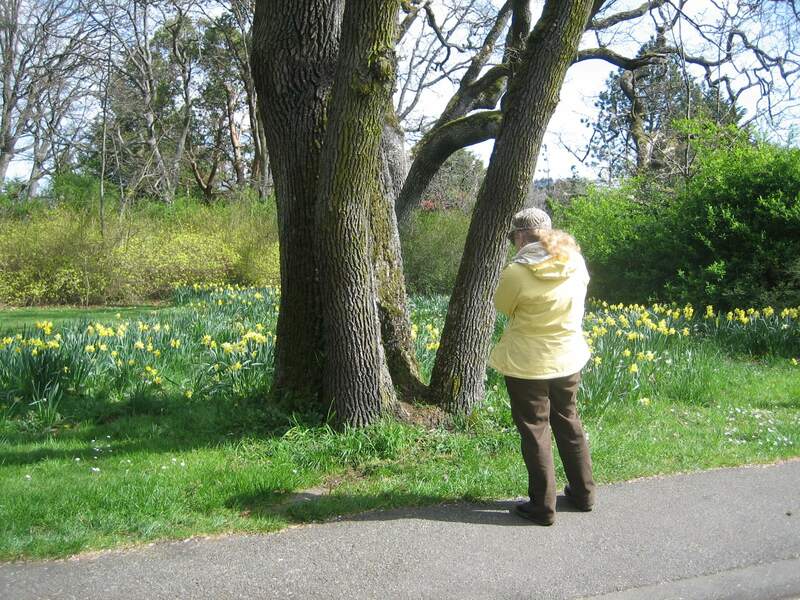 Years ago I lived beside Beacon Hill Park’s daffodil meadow. It was the first I’d ever seen. Spring magic. The happy yellow blooms delight me. Plus I like the little trumpets that protect the flower’s naughty bits from the early rains. 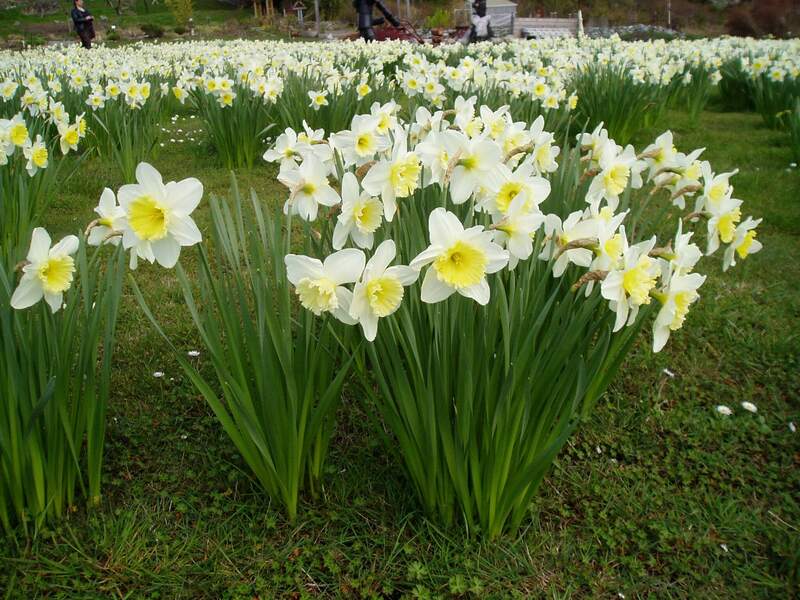 The deer-resistant Narcissus is easy to grow in Victoria. Many varieties are even cold tolerant to zone 3, surviving -40 degrees C! We don’t get anywhere near that cold here. 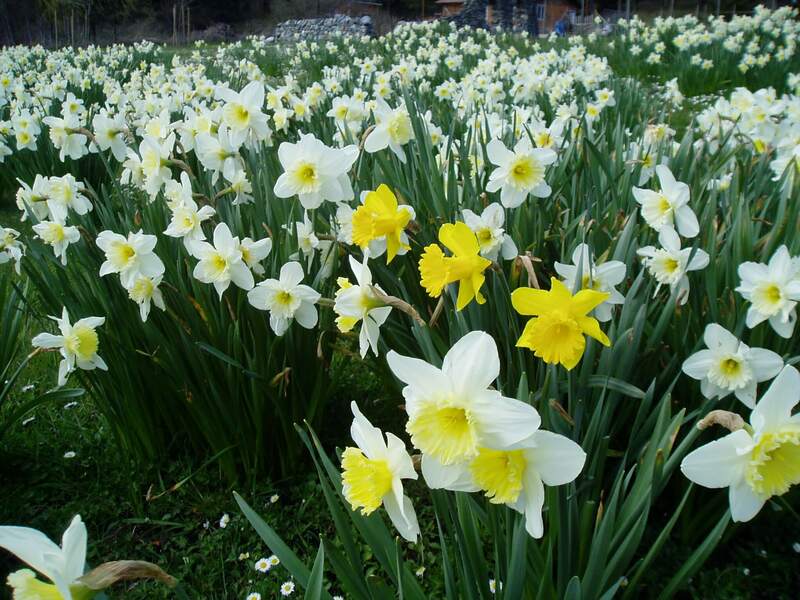 Actually, as our winters gradually become milder, we’re encountering daffodil woes similar to England’s. 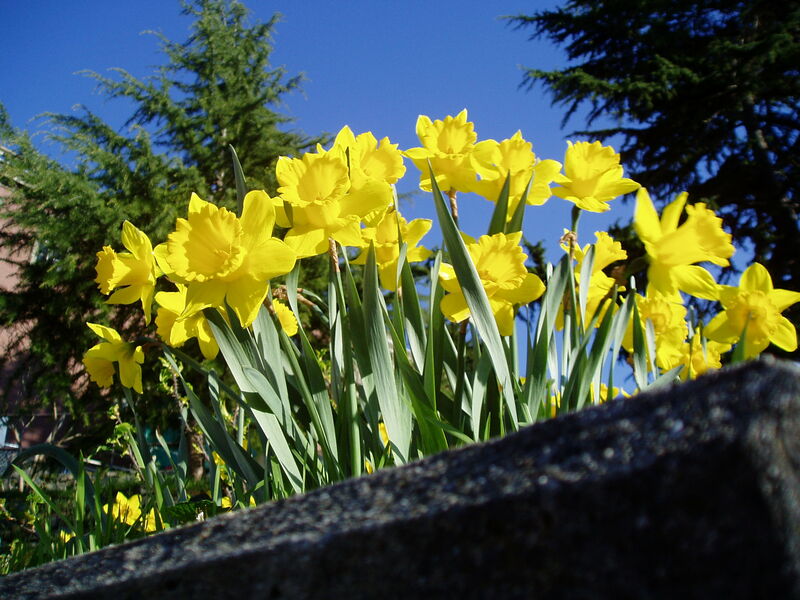 Many of the daffs that show up in your local grocery store’s flower stand originate in Victoria. 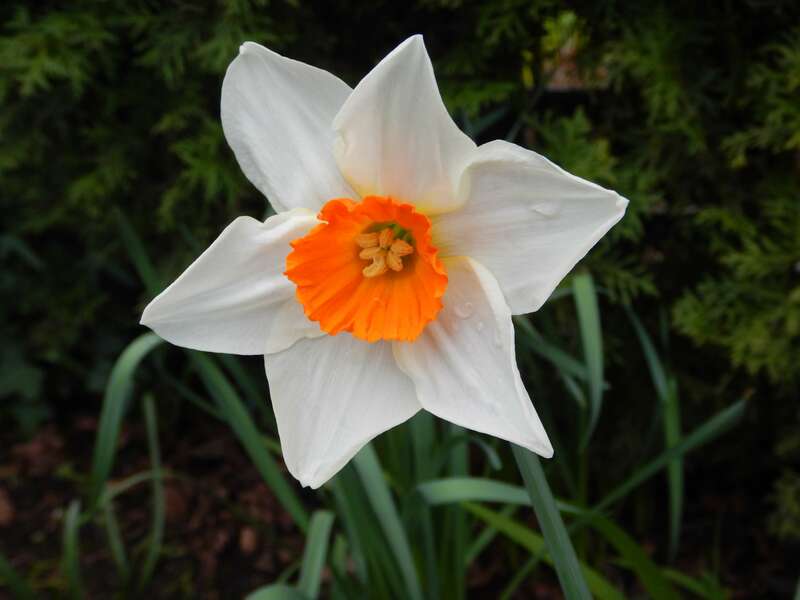 Famous for producing the largest crop of daffodils in Canada, Vantreights took an early lead in making the daffodil the Flower of Hope for the Canadian Cancer Society. At one point Vantreights farmed on a leased parcel of land that is now The Horticultural Centre of the Pacific, one of my favorite gardens. Today the HCP enjoys a residual daffodil meadow sloping down to the lake. Vantreights farmed in Gordon Head before that land became a residential subdivision. I’ve even heard that our street, on the southern slope of Mt. Tolmie, hosted a farm that grew the bulbs, too. There are some tricks to growing a spring-flowering meadow. 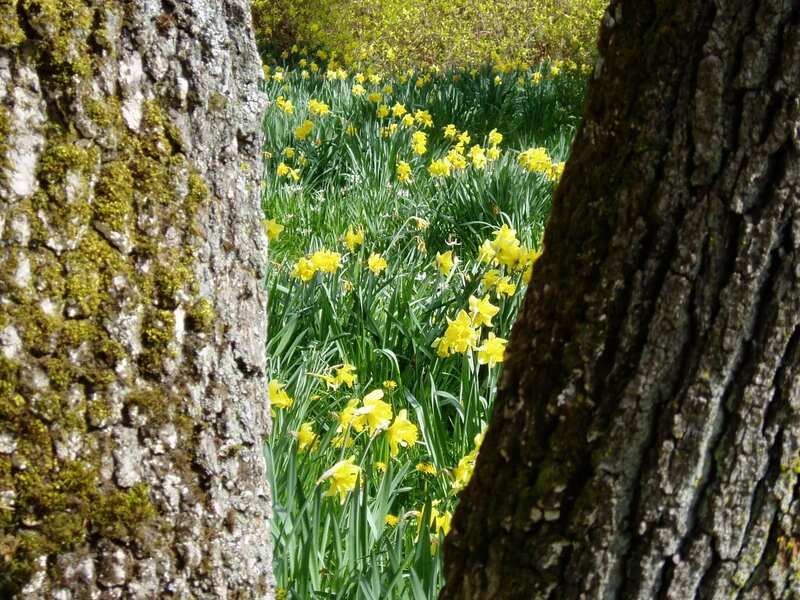 Although daffodils bloom before the grasses start to grow strongly, their leaves are still busy collecting energy for next year’s flowers when C has the uncontrollable urge to dust off the lawnmower. Zip, there goes the meadow! The park’s staff at Beacon Hill let the meadow grow naturally all through May before mowing. By then the ephemeral bulbs have ripened & receded into dormancy. Shorter growing spring bulbs, like crocus, stand half a chance in our lawn, but not daffodils. Ditto for snowdrops, tulips & camas. These I’ll leave to naturalize in our beds & borders instead.